Support for sports is one of Hotel Suite Villa María’s main pillars. Our understanding of holidays is much more in line with today’s new scenario, where one combines days of absolute relaxation together with activities on the move to guarantee the best well-being. With a high-performance sports centre just in front of our establishment, Tenerife Top Training, as well as our own gym, a 9 hole that surrounds us and a 18 hole golf course nearby and running spaces in the surrounding area; our hotel offers many alternatives to keep active during your holidays. Precisely, golf enthusiasts are some of our most repeat guests. Hotel Suite Villa María offers many facilities to enjoy this sport: we have direct access to Los Lagos (Par 33) and we are located just a few minutes away from the Championship golf course Golf Costa Adeje (Par 72). However, in the past couple of years a new modality has started to become popular. We are sure that it will give a lot to talk about, we suggest that you get know the keys of this fun sport. Welcome to the interesting world of footgolf! Footgolf made its debut in 2009 in the Netherlands, favoured mainly by the emergence of disciplines that combine different sports. Although many of the rules we know about golf can be applied in the same way – for example, the game on a course of 9 or 18 holes – footgolf goes much further with a specific regulation and equipment. To begin with, the ball used must be number 5 and the holes on each green, about 52 centimetres in diameter, in line with the measurements of a football ball. As far as equipment is concerned, players usually wear the characteristic shorts of conventional football equipment, but the boots stick to their multitack version (and not to the high-heeled ones, so frequent in football matches with natural grass) and incorporate complements such as golf caps or the characteristic rhombus socks. About the rules of the game, as already commented, the usual circuit of holes is followed, although instead of moving the ball with sticks, it is done with the feet and with football movements. Furthermore, it can also be played individually or in teams of three players. The spirit of golf is maintained, even so, in many aspects: it is a relaxed game and in which concentration is fundamental, the most famous expressions are the same as in golf: (birdie, bogey, putt…), the technique continues to have the same prominence and the ball must be played in a single movement. The followers of footgolf are heavily increasing. In fact, many professional football players have ended up changing their careers to devote themselves fully to this new sports discipline, and some clubs that have bet on it have multiplied the number of players in a very short time. 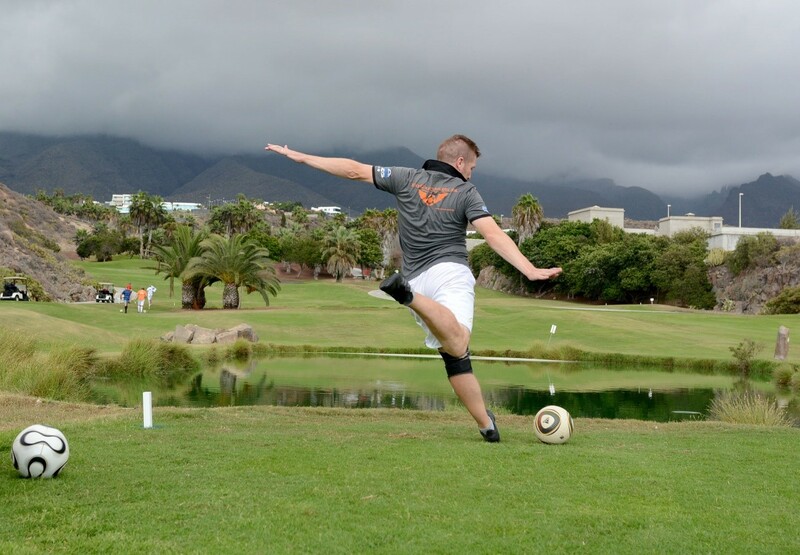 Also at Hotel Suite Villa Maria we have witnessed the increase in love for Footgolf. 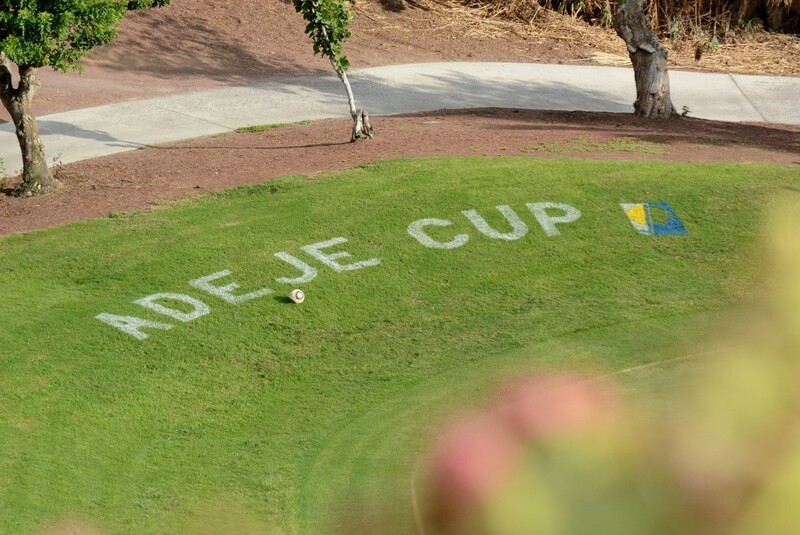 Last October 2018 we were sponsors of the Adeje Cup Championship, one of the great events of this sport in Spain, organized by the Canarias Footgolf Association, with which we have always maintained an excellent relationship. Also, important celebrities of Footgolf have visited our hotel in the last couple of months, like Ben Clarke, considered the best footgolfer of the world, and Natalie Richardson, one of the great ambassadors of this sport. If you are attracted by our possibilities for golfers, don’t forget to ask for more information about the options to try footgolf in Los Lagos. We are sure that this will be the beginning of a lasting relationship through this amazing new sports discipline!